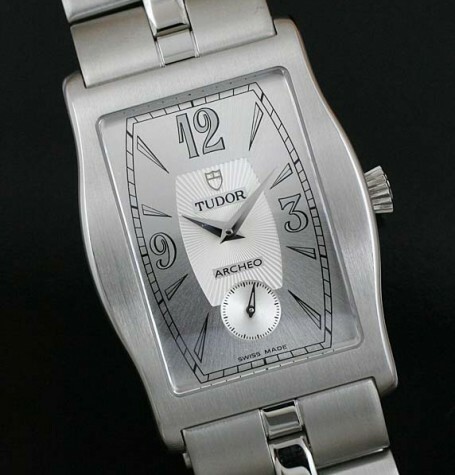 Tudor Archeo steel dress watch with automatic movement. One of the newer daring watch designs from Rolex for their alternate brand. 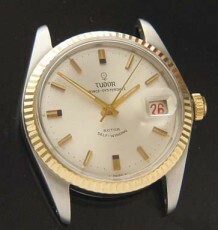 This Tudor watch is unlike any other modern watch made by Rolex that I have seen. 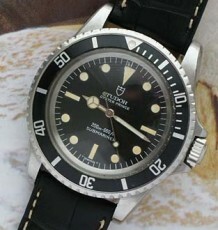 The closest model I can compare it to is the current Rolex Prince re-edition. The Archeo line was designed to offer buyers a sleeker more stylish option for buyers in the Rolex/Tudor boutique. The line has since been discontinued. This watch is in like new condition. The heavy stainless steel case has a pronounced curve to it and a bold flared side case. The dial on this Tudor Archeo has an interesting pattern of raised radiating lines that run out to the edges of the dial and highlight the arrowhead and Arabic numeral steel hour markers. Also note the small sub-seconds register on the dial, a homage to the vintage watches of the 30’s and 40’s. All Archeo men’s models are fitted with an automatic Rolex modified movement. 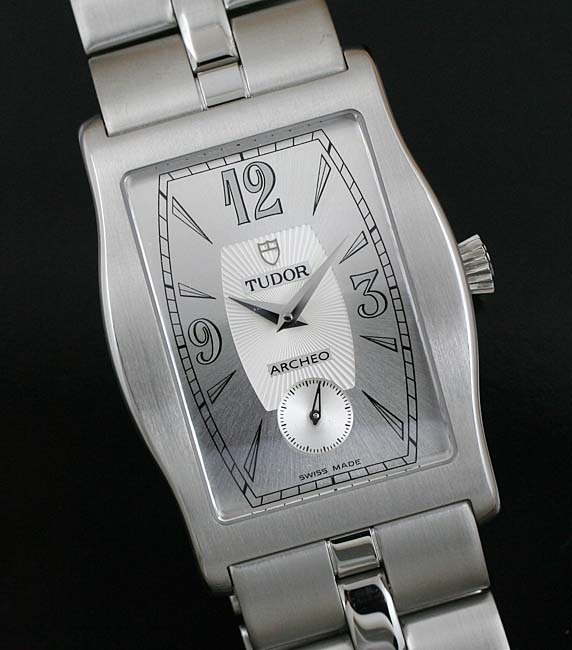 This particular watch is supplied with a heavy stainless steel bracelet and features a Tudor signed hidden deployment clasp. The watch measures 29 mm wide by 40 mm long and comes with the balance of the original factory warranty. 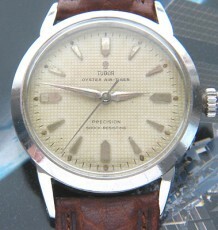 The watch is also supplied with the original double presentation boxes which are also in like new condition. 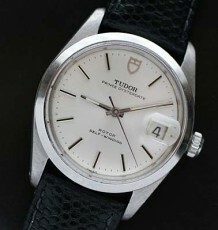 Vintage Tudor Air Tiger watch.